Shehu Sani APC Senatorial Ticket In Danger? 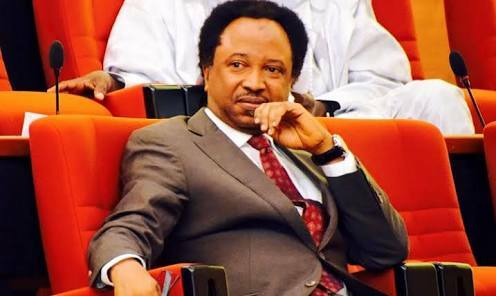 A Kaduna state High Court has restrained the All Progressives Congress (APC) from conducting the senatorial primary for Kaduna Central, which is being occupied by Shehu Sani. Following the disqualification of four other aspirants by APC, the incumbent Sani had emerged on Tuesday as the APC’s automatic candidate. But those loyal to Gov. El-Rufai are not ready to accept it. Those disqualified are Ibrahim Usman (Sardauna Badarawa); Shamsu Shehu Giwa; Gen. Mohammed Sani Saleh; and Uba Sani, who is the special adviser (Political) to Governor Nasir El-Rufai. Sani filed an ex-parte motion before Justice M. I. Bello of a Kaduna High Court of Justice. He asked the court to restrain the APC, the National Chairman of the party, Comrade Adams Oshiomhole, INEC and Shehu Sani from taking further steps to elect a candidate for Kaduna Central. The court order was served on APC National Secretariat and made available to reporters in Abuja yesterday. In his application, El-Rufai’s adviser asked the court for an “order of interim injunction to restrain the defendants, their agents, privies, or anyone else by whatever name called from taking further steps towards conducting primary elections to elect candidate of the APC for Kaduna Central Senatorial Zone(Zone 2) of Kaduna State pending the hearing and the determination of the Motion on Notice. “Alternatively, an order directing the parties herein to maintain the status quo prior October 2, 2018 materially to the conduct of primary elections to elect candidate of the 1st Defendant(APC) for the Kaduna Central Senatorial District(Zone 2) of Kaduna State pending the hearing and determination of the Motion on Notice already filed”. The motion was filed pursuant to Order 15(1) and Order 36 of the High Court Civil Procedure Rules of Kaduna State, the court granted leave to issue and serve the writ of summons on the defendants. Uba Sani’s lawyer, Sule Shuaibu Esq., explained that his client headed for court to protect his democratic rights after exhausting the internal party grievance-redress processes. The counsel said: “Upon becoming aware of his unlawful exclusion, Uba Sani wrote and submitted a letter of complaint to the national chairman, urging him to reverse the decision. “He followed up with a letter to the Appeal Committee, where he claimed that having fulfilled all the conditions for contesting the primary election, his unlawful exclusion should be set aside and he be allowed to contest the primary election. Ruling on the ex-parte motion, the court ordered the APC, its chairman Adams Oshiomhole, INEC and Shehu Sani to maintain the status-quo prior to October 2, 2018, when the APC unlawfully excluded Uba Sani and other aspirants from the contest.